What can I say? I like graveyards. I find them endlessly fascinating. So I was thrilled to discover this list of ten "must-see" cemeteries. 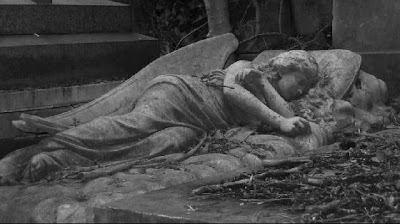 I've already visited five of them, and I'm dying to see more (ha), particularly London's Highgate Cemetery (shown above). Surprisingly, number seven on the list is near my new home in Brooklyn! So the next time the weather is nice, I think I'll pack a picnic and have lunch with some Roosevelts. Hi! You know how in Kiki Strike, they have that "How to Experience the Real New York"? I'm going there on spring break, and would like to know how to find the tunnel on 5 Doyers Street. Is it open to the public? Where at the address is it? Thanks! i want to see the one with walt disney and the old jewish cemetary. not sure which one i want to be buried in though. That's cool, but they left out the one in Savvanah, Georgia! It's amazing, I have been there. It's featured in 'Midnight in the Garden of Good and Evil'. Kirsten: I went to Asheville! Delaney: I'm going to NY for spring break 2! The cemetery that I am dying to visit is the Marble Cemetery. I'd love to go there and into one of the vaults, and discover......The Shadow City! But really, I seriously want to visit the Marble Cemetery, I'm really interested in it. OMG!! I SAW THE HIGHGATE CEMETERY!! But I didn't go in ;-; I REGRET THAT!!! I walked through the nearest cemetery to me the other day. It was sad, because its falling apart, some of the gravestones have fallen over and everything is covered with ivy...nobodys looking after it. I love that my fav grave yard is the one in phantom of the opera 2004! I live across the streat from a grave yard I can walk ot it its so close :) its a VARRY VARRY old one the oldest peoson barryd there was in the 1880.